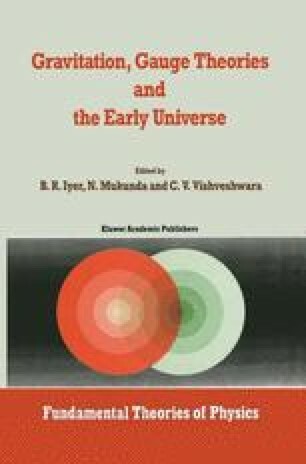 The movement started by Kaluza  and Klein  is a promising approach towards a unified description of the forces of nature. This approach postulates that space has more dimensions than have been hitherto explored. While there is no experimental basis for this postulate, there are theoretical reasons for pursuing it. It results in a unification of physical concepts which now appear to be unrelated. For instance, in Kaluza-Klein (KK) theories, ‘internal’ quantum numbers, like ‘charge’, appear on the same footing as spacetime-related quantities, like energy and momentum. Charge is related to the momentum along the extra dimensions. Similarly, gauge transformations appear as a particular class of coordinate transformations in the higher-dimensional space. This puts together two powerful symmetry principles of physics — gauge invariance and general covariance. The discrete symmetries of quantum field theory — parity P, charge conjugation C and time reversal T — do not appear in the same way in four-dimensional theories: P and T are related to spacetime transformations, i.e. reflections in space and time, but C is an internal operation. In KK theories, C is a reflection in the extra dimensions and so is on an equal status With P and T. In the higher-dimensional space, there is but one force — gravity. The fact that we see different forces in four dimensions is because we only explore the low energy sector of the theory.